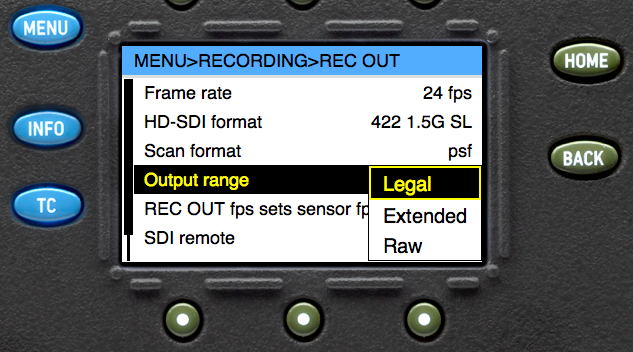 HD-SDI signal sources and destinations can usually be configured to output legal or extended range code values. The orange “ICC Profile” label in Figure 1 indicates that regular computer monitors with DVI, HDMI or DisplayPort inputs usually don’t have standardized calibration profiles (in contrary to most monitors with SDI-IN which conform to the Rec.709 profile). With LiveGrade the color processing in the LUT box can be adapted to an available ICC profile for the used monitor. 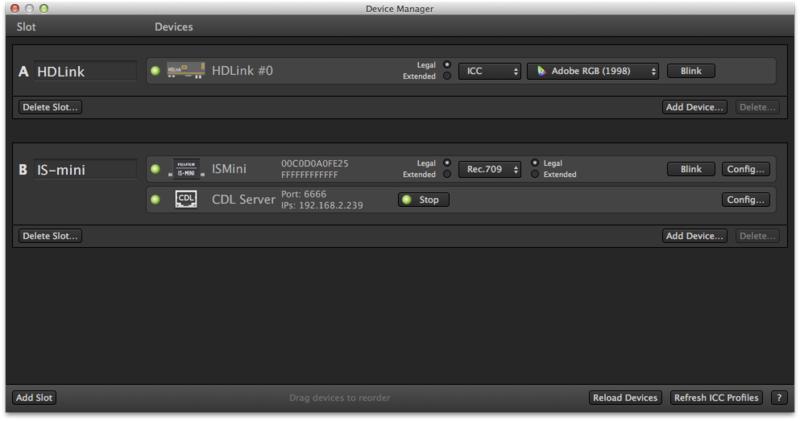 You can set the Legal / Extended range settings for input as well as the output ICC profile for each attached LUT box in the Device Manager screen. For more information about using ICC profiles and color management please see Color management with ICC profiles in LiveGrade. Note: If you experience banding artifacts in the image while using ICC profiles you can limit the use of ICC profiles to display curves in the preferences. You can find more info and examples in Avoiding Banding Artifacts with ICC profiles in LiveGrade. For more information about compatible HDLink devices, please refer to LiveGrade: Supported HDLink models.